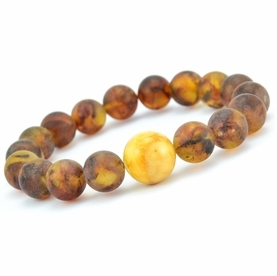 Raw Amber Teething Bracelet Made from Multicolor Baltic Amber. 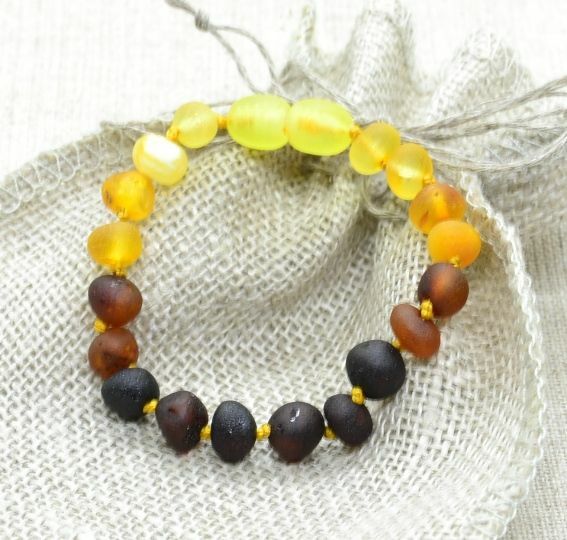 Raw Amber Teething Bracelet made of baroque Multicolor Baltic amber beads by experienced folk craftsmen. Length: approx. 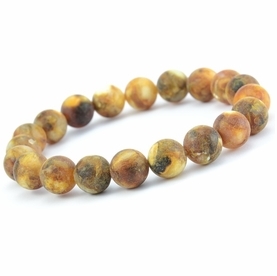 5,5 inches (14cm.) long. 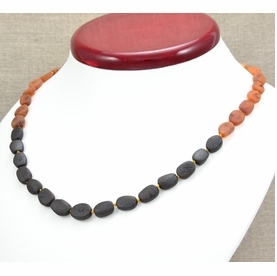 Each bead is 100% Baltic amber and varies in size, color, shape and thus the length of the necklace varies slightly as well. 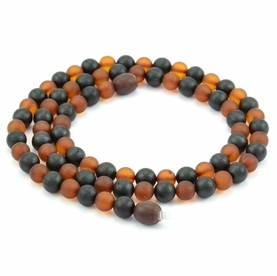 The bracelet fastens with a Screw Clasp that opens and closes easily and naturally.